Our popular Kids Gallery series continues with Noisy Gallery: a magical musical adventure for 0-5s and their grown ups, taking inspiration from John Hegley's classic storybook, Stanley's Stick. Stanley’s stick is not just any stick, it's a ‘fantastick’! 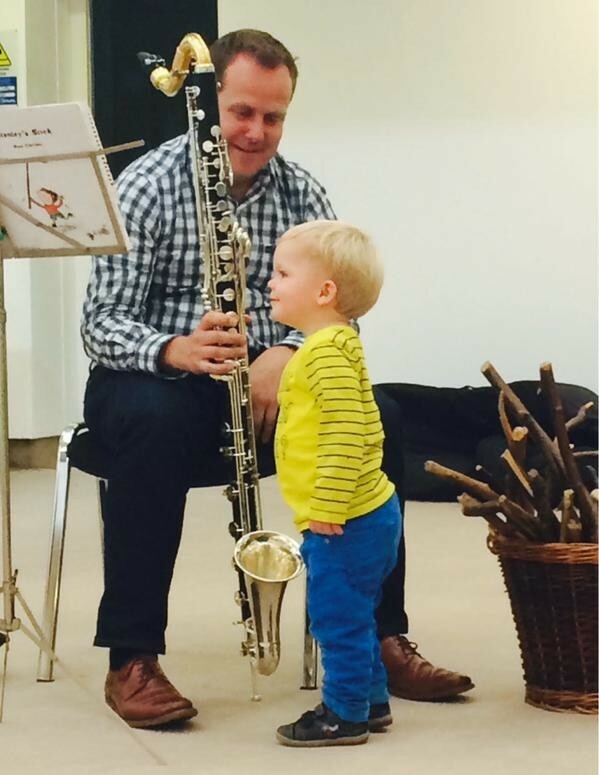 During the workshop, children pretend it’s a whistle, a not-so-bendy banana, a thunderous ‘Stickosaurus’ dinosaur, a swinging saxophone and much more in this sing-along, stomp-along, stick-along story! This workshop, exploring expressive arts through sound, art and movement, is brought to you by the Northern Chamber Orchestra and artist David Hulston. The session will begin with children creating their own Fantastick!, before bringing their stick to an interactive musical performance of the story. If you and your little ones would like to listen to the story prior to joining us for a musical adventure, you can find it here. If your family would find a detailed session plan helpful, or if you have any questions about the workshop, please email Harriet (harriet@lancasterarts.org). Further information for families visiting Lancaster Arts can be found here. For 0-5 years and their grown ups.